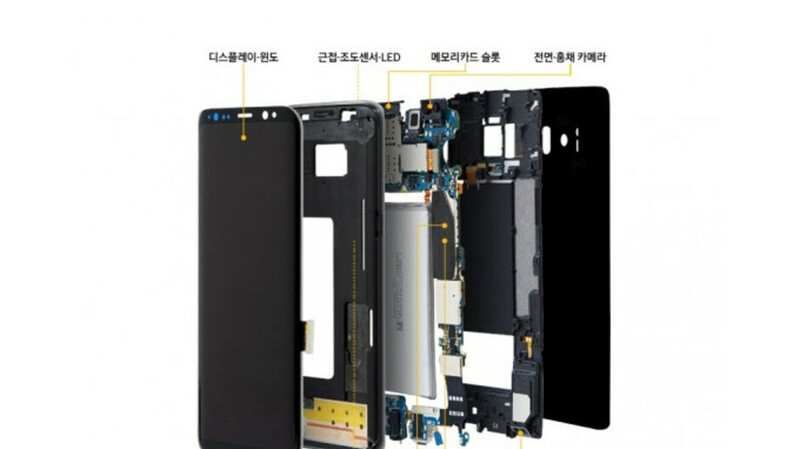 The Galaxy S10 is arriving with a modern, advanced SLP (Substrate Like PCB) circuit boards, reports Korean media, but it's only reserved for the Exynos versions of the eventual three S10 models. The SLP motherboards stack or package the chips tighter together, making their footprint much smaller, leaving space for other things inside a phone, like, ahem, larger batteries, or ones with intriguing shapes that utilize the limited space inside a handset fuller. Apple's iPhone X employed such design, freeing up space for a larger, L-shaped battery inside, and its successor follows. Samsung started doing SLP boards en masse with the Galaxy S9, S9+ and the Note 9 this year, but only on their Exynos versions as well. Why just the models with Samsung's own processor? Reportedly, four of the ten suppliers that Samsung uses for its phones' circuit boards have the ability and capacity to produce SLP designs. Samsung Electro-Mechanics, Daeduck GDS, and Korea Circuit are the ones tipped to supply SLP boards for the Galaxy S10, so the issue is apparently not that the company's suppliers don't have the capacity to produce. Previously, industry sources revealed that Samsung equips only the Exynos versions of the S9 with the space-saving PCB tech since the versions with Qualcomm chipsets have "technical difficulties" to use the advanced system boards, and those issues seem to carry over to the S10 as well. What we learn from the report on the whole SLP board debacle, however, is yet another confirmation that the S10 will sport in-display finger scanner. The supplier for the "rigid-flexible" connector of such a sensor is apparently already identified, pouring more water in the advanced Galaxy S10 fingerprint sensor rumor mill. The only thing i want to see in the exynos variant, it's a gpu at least as capable as the snapdragon one, if not as a European as much as i like the s or note line i will skip Samsung again. So what is Samsung even gaining by this exercise since both Snapdragon and Exynos versions have same internals? I see no overall gain as an end result. To me it sounds more of a baseless rumor, as we haven't even seen any such differences in teardowns. It's pretty obvious says so in the article its to save space for bigger batterys and other modules can fit in like camera and fingerprint sensors. This is why Samsung needs to only use Exynos and get rid of snapdragon. The phones be easier and quicker to update and willl be alot more efficient battery wise. Ahh, no? This year's Snapdragon was much more efficient battery wise. Infact almost every year except S810, Snapdragon has been better in battery life department and overall performance. And Adreno GPU is on whole different level. Btw why is that Samsung is increasingly using more and more Snapdragon processors in their low end, mid range and higher mid range devices after a failed stint with all Exynos? No way Samsung can pull that off unless they can sandwich a heat sync between the layers, your snapdragons and Exynos’ of the world get so hot under load that insulating them next to a combustible component is a terrible idea. Hope they can make an unlimited 4k video recording.